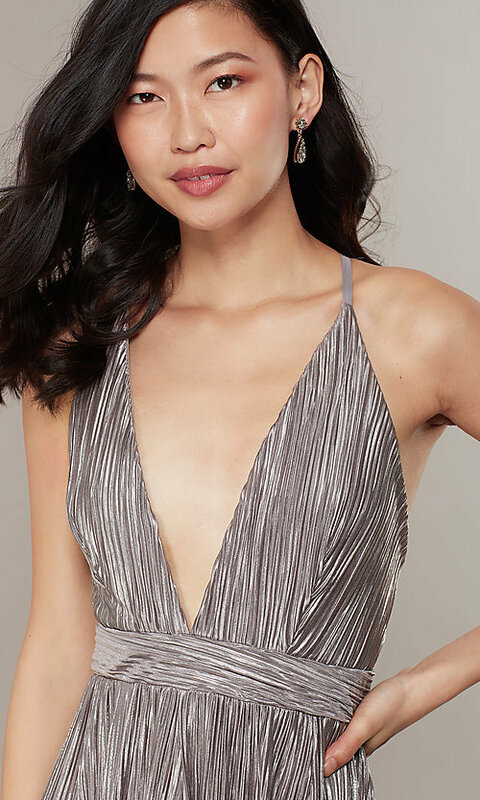 Slip into this long metallic prom dress for less and impress. At under $100, this formal evening dress is made from metallic lame that shimmers from neckline to hem. The sleeveless formal dress has a plunging v-neck bodice supported by adjustable straps that cross the open back for a look that wows with every turn. A waist-defining band tops the long skirt that flows with an billowy fit to the hem of the floor-length prom dress. With a nod to the bohemian style, this open-back prom dress is ideal for prom 2019, gala, or holiday celebration.